This cake is a simply irresistible. Adapted from Feast by Nigella Lawson. It is a cake that is sure to become a favourite! Feel free to use a store-bought lemon curd but I have included an excellent recipe for one as well. 1.Preheat the oven to gas mark 6/200°C/400ºF. Line and butter two 21cm / 8 inch sandwich tins. 2.Mix the egg yolks, 100g cup of the sugar, the butter, flour, cornflour, baking powder, bicarb, and lemon zest in a processor. Add the lemon juice and milk and process again. 3.Divide the mixture between the prepared tins. Spread with a rubber spatula until smooth. 4.Whisk the egg whites and cream of tartar until peaks form and then slowly whisk in 200g. Divide the whisked whites between the two sponge-filled tins,spreading the meringue straight on top of the cake batter. 6.With a cake-tester, pierce the cake that has the flat meringue topping to check it's cooked all through. The sponge mixture should not stick to the tester. Remove both cakes to a wire rack and let cool completely in the tins. 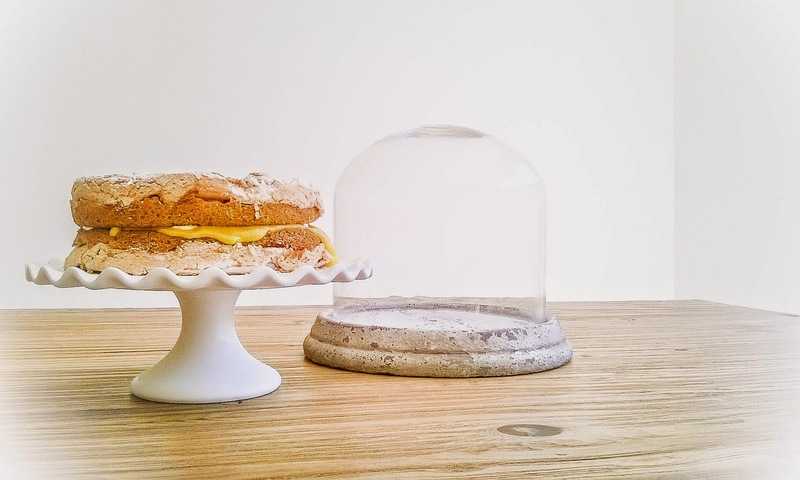 7.Unmould the flat-topped one on to a cake stand or plate, meringue side down. 8.Whisk the double cream until thick but not stiff and set aside. Spread the flat sponge surface of the first, waiting, cake with the lemon curd and than spatula over the cream and top with the remaining meringue. 1.Save about half the butter, mix all the ingredients in a saucepan. Cook over low heat, whisking constantly, until thickened. 2.Add the remaining butter and whisk until melted. Pour the curd through a sieve and into a bowl. Cover and let it cool to room temperature. The curd will keep well, refrigerated, for a couple of days. Best Dressed at the Oscars.